Your health is your wealth. As a medical doctor once told me: “The greatest gift you can give to your family is your time.” So although respiratory protection is personal, it can also save your life – if used correctly with the correct training and fit. 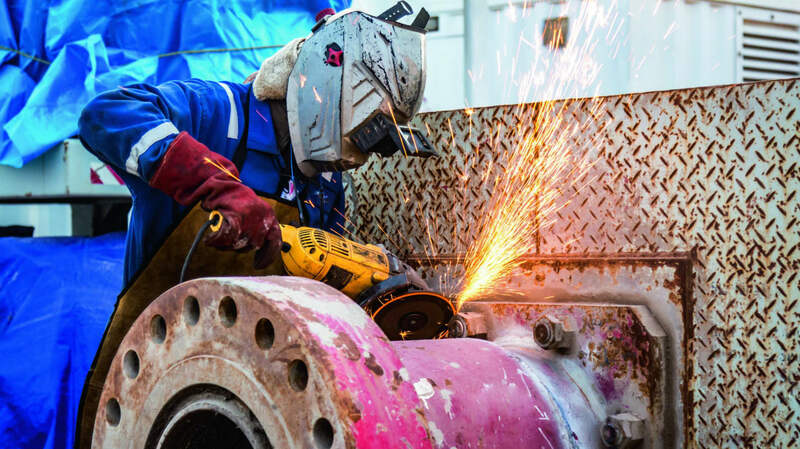 For workers exposed to environments of insufficient oxygen or where harmful dusts, fogs, smokes, mists, fumes, gases, vapours, or sprays are present, respirators are needed. These health hazards may cause cancer, lung impairment, other diseases, or death. Where toxic substances are present in the workplace and engineering controls are inadequate to reduce or eliminate them, respirators are necessary. Some atmosphere supplying respirators can also be used to protect against oxygen- deficient atmospheres. Increased breathing rates, accelerated heartbeat, and impaired thinking or coordination occur more quickly in an oxygen-deficient or otherwise hazardous atmosphere. Even a momentary loss of engineering controls alone cannot coordination can be devastating if it occurs while a worker is performing a potentially dangerous activity such as climbing a ladder. Respirators have their limitations and are not a substitute for effective engineering and work practice controls. When it is not possible to use these controls to reduce airborne contaminants below their occupational exposure levels, such as during certain maintenance and repair operations, emergencies or when engineering controls are being installed, respirator use may be the best or only way to reduce worker exposure. In other cases, where work practices and reduce exposure levels to below the occupational exposure level, respirator use is essential. Where respirators are required to protect worker health, specific procedures are necessary to ensure the equipment’s effectiveness. A respirator is a device to protect you from inhaling dangerous substances, such as chemicals and infectious particles. There are several different types of respirators, as described in the following sections. Respirators are designed to reduce a worker’s exposure to airborne contaminants. Respirators come in various sizes and must be individually selected to fit the wearer’s face and to provide a tight seal. A proper seal between the user’s face and the respirator forces inhaled air to be pulled through the respirator’s filter material and not through gaps between the face and respirator. These respirators purify the air using filters, removing contaminants from the air. The choice of filters depends on the level of contaminants in the air. Sometimes a combination of gas and dust filters is necessary. There are two types of air purifying respirators. One is non-powered and relies on the wearer to draw in air by inhaling. The other is powered and relies on a battery- powered motor to draw in the air. Supplied air systems should include an emergency supply system as per AS/NZS 1715. Refer to AS/NZS 1715 for more information. "worker protection and productivity are directly linked to wearer acceptance"
These devices cannot be used in oxygen depleted atmospheres. 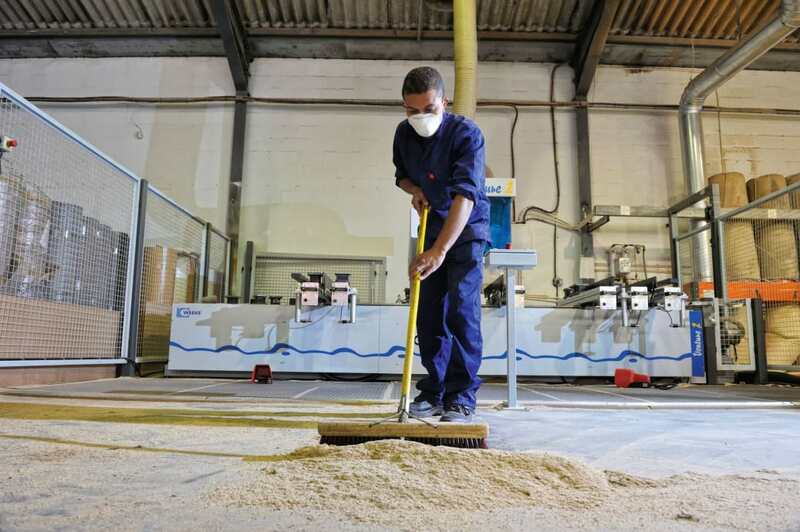 Dust masks – used for protection against nuisance dusts such as sawdust, chalk, plant-related and sanding dusts. These are generally not suitable for toxic substances. Gas filters – filter fitted into a half face mask, full face mask or hood, suitable for removing low concentrates of certain gases and vapours. Filters have limited use and storage lives and are specific to certain gases or vapours. They are not generic – a specific filter needs to be matched to a specific make of mask. CLASS (P1) Intended for use against mechanically generated particulates, (for example, silica, asbestos). CLASS (P2) Intended for use against both mechanically and thermally generated particulates, (for example, metal fumes). Combined gas and particulate filters – filter combinations are used where both hazard types may exist. These include airline respirators and self-contained breathing apparatus. Use of this equipment requires detailed training. Example of use areas may be spray booths, PC4 biohazard labs and sandblasting. 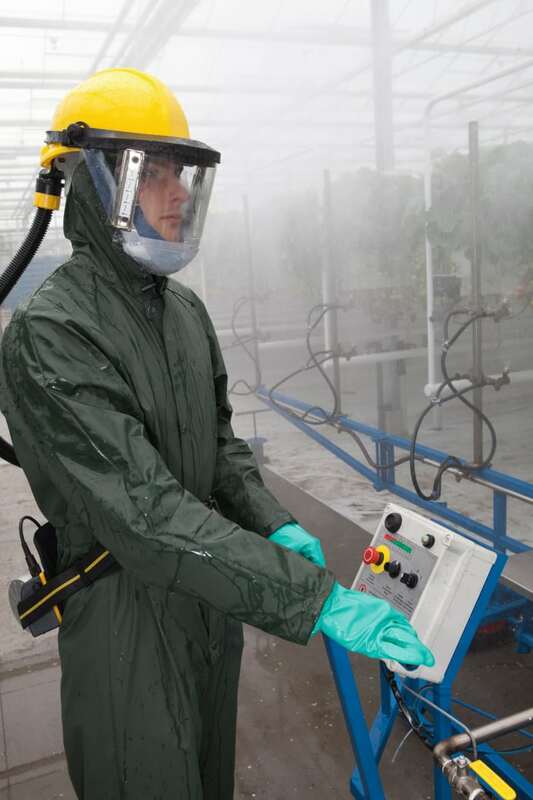 Comfortable respirators increase worker protection. Worker protection and productivity are directly linked to wearer acceptance and the amount of time they are prepared to wear the respirator. Comfort impacts directly on wearer acceptance and therefore also on worker protection and productivity. The single most significant factor in providing protection with all personal protective equipment (PPE) is to get people to wear it when needed (wear time). In contaminated environments, wearing a respirator for 90% instead of 100% of the exposure time can reduce wear protection significantly. Studies have found that 50% to 80% of workers fail to use the PPE provided. This lack of acceptance demonstrates that wear time is a real issue in the workplace. Discomfort and low perceived health risks have been identified as the main causes of respirator non-wear. Three situations that commonly reduce wear time are: putting the mask on after the job has been started; not using respirators at all for short duration tasks; and removing the respirator to communicate. It is difficult to achieve 100% wear time. People take respirators off to wipe away sweat, re-adjust the fit, communicate verbally, scratch itches, and blow noses. 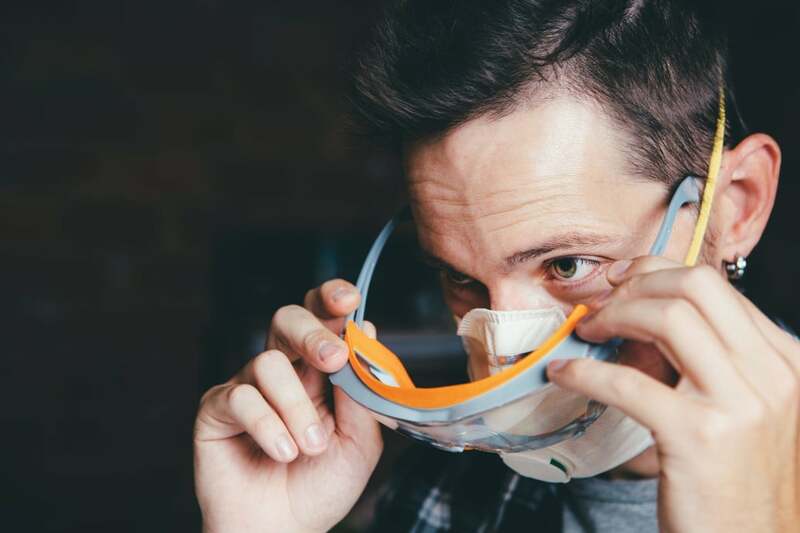 Uncomfortable respirators require more wearer motivation and commitment, making comfort a crucial part of respirator selection. Often those selecting respirators do not wear them and comfort is not considered during selection. Sometimes discomfort is due to inadequate training and fitting. For example, putting respirators high on the nose is common practice. This makes it hard to wear glasses and difficult to get an airtight seal around the nose. Training and fitting are such important factors that some countries have the need for fit testing embedded in law. When you are selecting a brand make sure the manufacturer of the product can support you by providing full training and fitting services. If the respirator is not worn, it cannot protect. Short periods with the mask off the face greatly reduce the protection achieved by the wearer. Including comfort in the selection process is a big step towards improving the protection provided to respirator wearers. When selecting a respirator, there are a number of issues to consider. The basis for selection and performance of respirators is normally centred on a number of documents with the relevant standards being paramount. ‘Nuisance’ dusts – small particles that, at high concentrations, clog up the airways of the lungs and create discomfort and breathing difficulty, e.g. road dust, dirt. Toxic dusts – particles that are toxic to the body and can cause local_or remote effects to the body after being inhaled into the lungs, e.g. asbestos, silica. Irritant gases – gases that are water- soluble and cause irritation to the upper respiratory tract, e.g. ammonia. Asphyxiants – gases that interfere with the supply of oxygen to the body. They can be simple, such as an inert gas like nitrogen that can dilute the oxygen in the air to a dangerously low level. Or they can be chemical asphyxiants like carbon monoxide or hydrogen cyanide, which are taken up into the bloodstream in preference to oxygen, causing the body’s organs to shut down due to lack of oxygen. Anaesthetics – many organic solvents e.g. petrol, ethanol, benzene, are readily absorbed from the lungs_into the bloodstream. They are then carried around the body and can cause damage to organs like the brain and the liver. They can depress the central nervous system and can cause paralysis and death. Sensitisers – these can cause allergic asthma-type reactions, after an individual is exposed and is sensitised, e.g. isocyanates, some timbers. After identifying the type and level of the respiratory hazard, suitable respiratory equipment for these conditions should be identified. Normally there will be a number of options, depending on the local conditions, wear time, cost and other factors which will help to decide the appropriate equipment. Filters used in respirators are required to meet certain performance levels to achieve a classification – this then allows determination of its suitability for use against specific contaminants at various concentrations. Filters are tested for capture efficiency in the laboratory using a salt aerosol challenge agent. Under specified test conditions, the amount of these particles that break through the filter is measured which allows classification of the filter. Under the Standard, there are three classes of particle filters. P1-for mechanically generated particles, e.g. dusts and silica. These are suitable for the relatively “large” particles (>1 micron) released in mechanical operations like sanding, drilling, cutting, sawing, crushing etc. P2-for mechanically and thermally generated particles, e.g. welding fume. This class of filters has a higher capture efficiency to be able to deal effectively with smaller, thermally generated particles like sub-micron sized welding fume. The P2 is also the class of filter recommended for specific infection control applications, e.g. 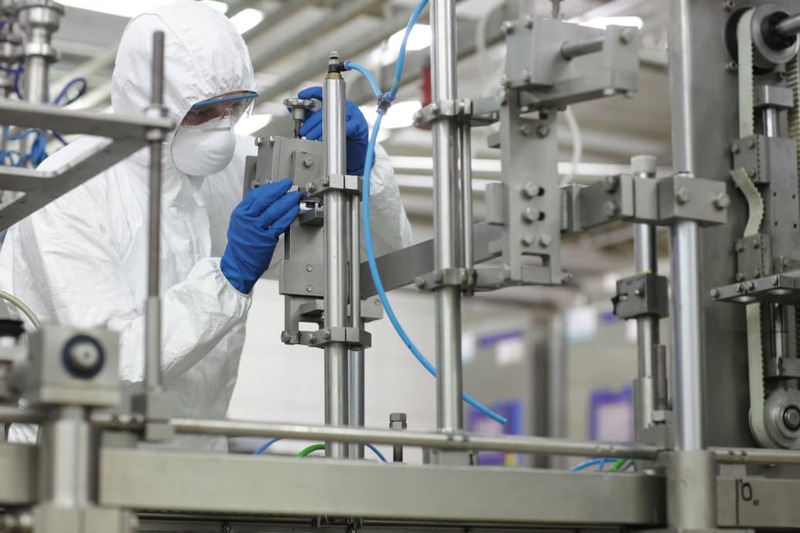 with SARS, TB or other infectious diseases, where they can capture biologically active airborne particles and aerosols under specified conditions. P3- for use with toxic materials and/or when very high protection levels* are needed. e.g. beryllium or radioactive particles. Note: To achieve these high protection levels, any P3 filter must be worn on a full facemask or as part of a head- covering respirator. If P3 filters are fitted to any half facemask, this combination is graded by AS/NZS 1715 to perform only as well as a P2 rated filter on this mask. This is because the 'weak point' of the half facemask respirator is the face seal, not the filter performance, i.e. in practice most leakage on a half facemask respirator will occur around the seal on the face, not through the filters. This means using a P3 filter on a half facemask provides no greater effective level of protection in practice than a P2 or P1 used against mechanically generated particles. The all-important question, of course, is how can you ensure proper protection? OSHA’s respirator standard requires employers to establish and maintain an effective respiratory protection programme when employees must wear respirators to protect against workplace hazards. Different hazards require different respirators, and employees are responsible for wearing the appropriate respirator and complying with the respiratory protection programme. The standard contains requirements for programme administration, worksite- specific procedures, respirator selection, employee training, fit testing, medical evaluation, and respirator use, cleaning, maintenance, and repair. Employees must use respirators while effective engineering controls, if they are feasible, are being installed. If engineering controls are not feasible, employers must provide respirators and employees must wear them when necessary to protect their health. The employee’s equipment must be properly selected, used and maintained for a particular work environment and contaminant. In addition, employers must train employees in all aspects of the respiratory protection programme. influence the concentration of a substance in the work area atmosphere. Employers must periodically monitor these factors as they affect air contaminant concentrations. In instances where work is of such short duration that it takes longer to do the test than the job, reasonable estimates of exposure are allowable. 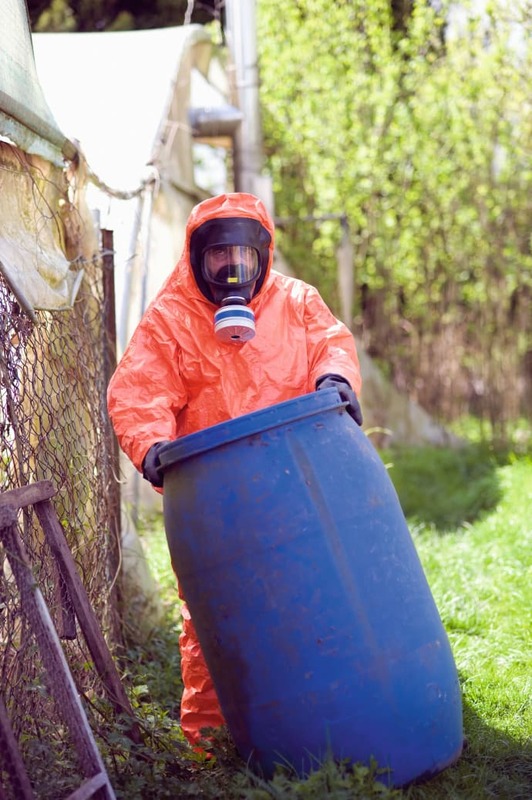 In situations where the environment is or may be immediately dangerous to life or health, employers must ensure that one or more employees are located outside the dangerous environment. These employees must maintain visual, voice, or signal line communication with employees in the IDLH atmosphere. In interior structural firefighting situations, employers must ensure that at least two employees enter the structure and remain in visual or voice contact with one another at all times. Also, at least two employees must be located outside the fire area to provide effective emergency rescue. All workers engaged in interior structural firefighting must use SCBA. With all the need for being able to breathe easy, respiratory protection does have its benefits, doesn’t it? The positive that being able to breathe just_a little bit easier and protect workers against insufficient oxygen environments, harmful dusts, fogs, smokes, mists, gases, vapours, and sprays. There seem to be a lot of potential hazards in the working environment but yes prevention is better than cure. Conversely, these hazards may cause cancer, lung impairment, diseases, or death. So putting on the respiratory protection may seem like a good idea after all, just ask your kids!